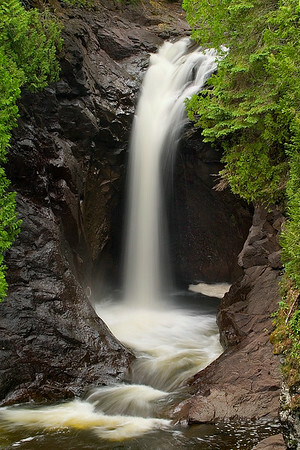 The main falls along the Cascade River on Minnesota's North Shore is just a short walk from the parking area along the highway. A curve in the river opens this viewpoint. I've taken many photos from this location. I've wanted to wade the stream to capture this photo from below but the water has been too high and too swift to risk injury to me or my gear.